This Toy Story 4 Little Golden Book retells the exciting new Disney/Pixar movie, which will hit theaters June 21, 2019! Disney/Pixar's Toy Story 4 opens a new chapter in the lives of Woody, Buzz Lightyear, and the rest of the Toy Story gang. 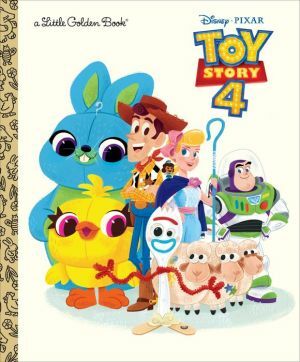 This Little Golden Book is based on the upcoming feature film, Disney/Pixar Toy Story 4, which releases on June 21, 2019. It is perfect for boys and girls ages 2 to 5, as well as Disney Little Golden Book collectors of all ages!